Global Ewaste solutions is a leading provider of IT asset management and disposition solutions. With facilities in Canada, USA and Singapore, we can offer quality end of life services on a global scale. Global Ewaste offers a complete selection of Data sanitization solutions including destruction and degaussing. Our certified sanitization programs guarantees the continued security of your sensitive information. With 35 years in the industry, Global Ewaste offers an unrivalled remarketing program. With the some of the highest remarketing percentages in the industry, we can minimise the total cost of ownership on your old assets. 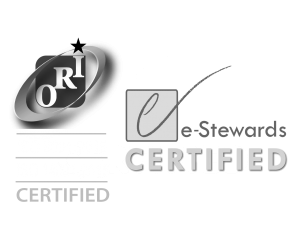 As a certified e-Stewards member, we follow the strictest environmental and social codes. With Global Ewaste, you can count on your old equipment being recycled in the safest and most secure way. Our leading IT Asset Management/Disposition solutions can be tailored specifically to fit your needs and deliver an unparalleled level of service. Our primary service involves the secure destruction of all proprietary customer information. We offer a level of transparency unmatched by anyone and we encourage customers to participate in the process for increased accountability. At Global Ewaste, our certified process and carefully selected technicians eliminate the possibility of anyone accessing your sensitive data. These strict policies guarantee freedom from risk even when remarketing data bearing devices.